Selected papers from the Workshop on Syntax of Relative Clauses held at UVic from June 18th to 19th 2011. 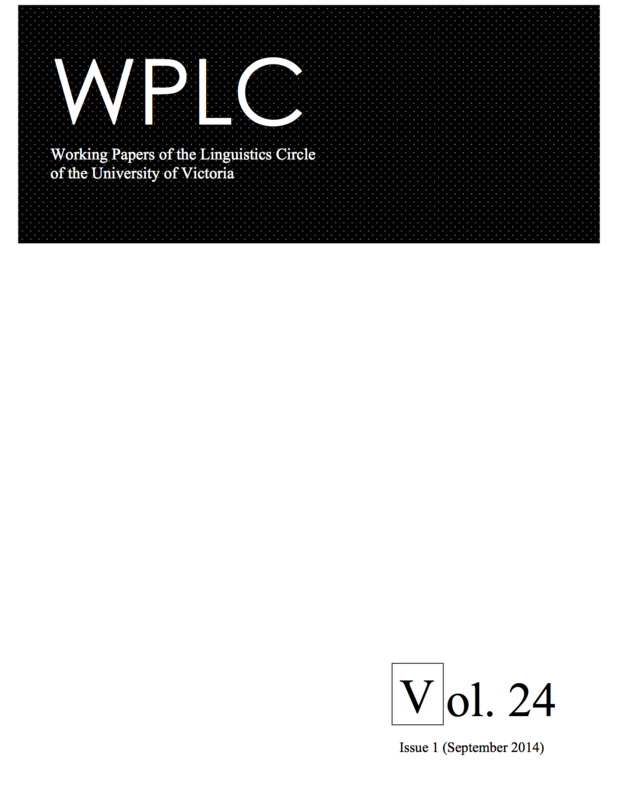 A selection of the papers presented at the 27th Northwest Linguistics Conference held at the University of Victoria on February 19th and 20th. Proceedings of the 11th Northwest Linguistics Conference.